Mongolia says China has closed a key border crossing, creating huge congestion, nearly a week after the Tibetan spiritual leader, the Dalai Lama, visited the country. 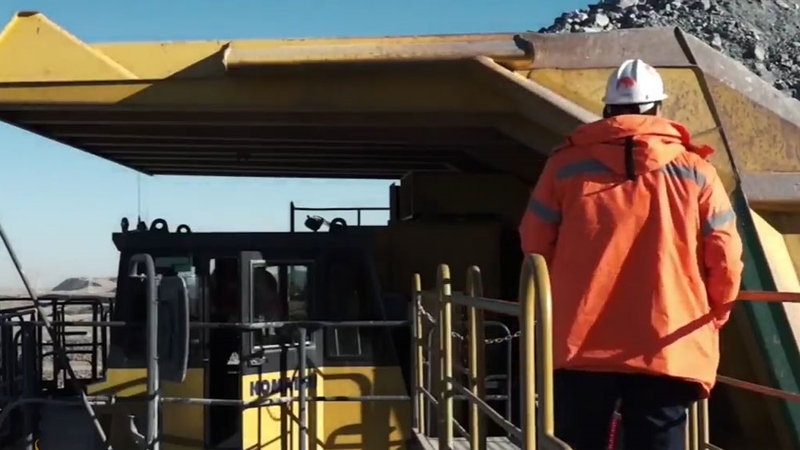 Hundreds of truck drivers for the mining conglomerate Rio Tinto are stuck at the Gants Mod crossing in southeastern Mongolia in freezing temperatures. Footage shows a long line of trucks on the Mongolian side of the border waiting to cross. Rio Tinto, which operates vast copper and gold mines, has now suspended shipment to China of copper concentrate. The Dalai Lama is cherished as a spiritual leader in predominantly Buddhist Mongolia, but is considered a separatist in China for supporting a long drawn-out campaign for independence for Tibet. Beijing has been campaigning for a diplomatic boycott of the Dalai Lama since 1959, when he escaped to India and formed a government-in-exile. The Dalai Lama retired from political life in 2011. Last month, Beijing imposed new tariffs on commodity shipments between China and Mongolia. But Chinese foreign ministry spokesman Geng Shuang did not confirm whether or not the new border fees were connected to the Dalai Lama’s visit, saying that he was unaware of the situation. “As for the Dalai Lama’s visit to Mongolia, China has expressed its position many times,” he said at the ministry’s regular press briefing on Thursday, covered by the Reuters news agency. The diplomatic repercussions could hit Mongolia hard, with the crisis-hit government desperate to boost economic ties with its powerful southern neighbour and to use Chinese investment to kick-start key mining and infrastructure projects. Al Jazeera’s correspondent said Mongolia had been negotiating a loan with China to help ease its acute financial troubles. “Its government is basically broke, but China has cancelled talks to discuss the loan that Mongolia needs so very badly. “So, in a sense, Mongolia, is paying a very heavy economic price for putting religious freedom ahead of economic necessity,” Brown added. In advance of Dalai Lama’s visit to the Indian state of Arunachal Pradesh, China warned in October of “damage” to bilateral ties between the two countries.